Robert B. Moy is a partner in the Tax, Trusts and Estate and Corporate practice groups of the Firm. Prior to joining the Firm, he was a founding member of Bennett & Moy, LLP, where he practiced in the areas of corporate law, asset and estate planning, and real estate. Mr. Moy counseled his clients on various matters: from mergers and acquisitions to establishing new businesses, negotiating and drafting shareholder, operating, financing, employment, merger, acquisition, licensing and buy-sell agreements, represented clients in the purchase and sale of real estate, and drafting complex and simple trusts and wills. Before forming Bennett & Moy, he was Of Counsel to Battle Fowler, LLP in New York, where his corporate and real estate expertise included complex commercial transactions, project and structured financing, and securities law. He worked on several multimillion-dollar transactions— including real estate investment trusts, international project financings, and Regulation S offerings. Mr. Moy was also Of Counsel to Caesar and Napoli, where he headed the corporate and estate planning departments of the firm, focusing on general corporate law, real estate, and estate planning. He previously worked in the Hong Kong office of Fulbright and Jaworski, LLP, where he worked on several multimillion-dollar commercial transactions—including the establishment of a number of offshore funds. He was primarily responsible for negotiating several joint ventures in China, which included negotiating and drafting various operating, employment, licensing, and other agreements for these companies. Mr. Moy also counseled clients on asset protection, estate and business planning, and other issues in conducting business in the United States and Asia. 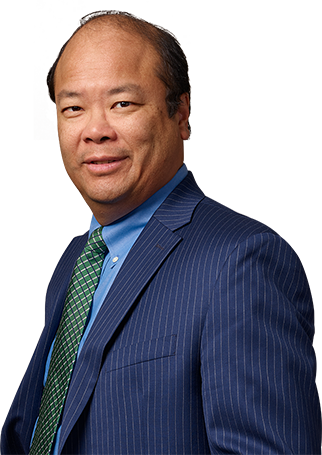 Mr. Moy commenced his legal career at LeBoeuf, Lamb, Leiby & MacRae in New York, where he worked on insurance regulatory and coverage matters, mergers and acquisitions, as well as several complex real estate transactions and estate matters. He represented a number of prominent international insurance carriers in matters involving insurance and reinsurance coverage.